I was born in a Home for Unwed Mothers in Spokane, Washington. 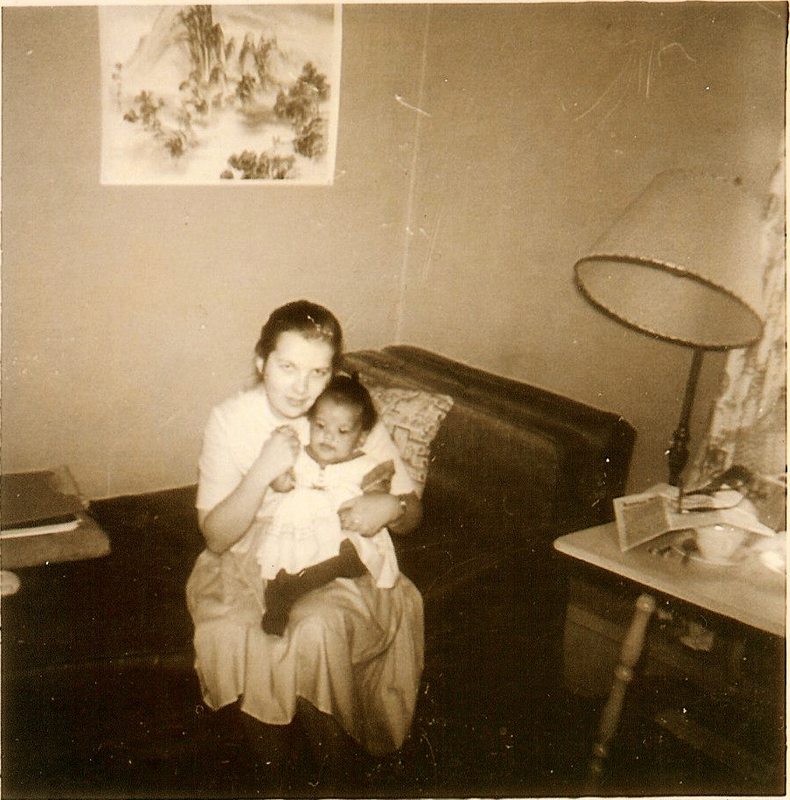 Among the 50 white and 10 black girls, my white (Nordic-American) mother, pregnant by my black (Nigerian) father, was the only one who straddled both worlds. (Ironically, at the time she was reading Black Like Me, journalist John Howard Griffin’s account of medically darkening his skin and masquerading as black.) As soon as she could walk, the Home encouraged her to take me and go. Her outspokenness, plus her decision to keep me, at a time when unwed white girls were being shamed into surrendering their babies for adoption, challenged Home policy. I’ve been to Spokane only once since then, a decade ago, on book tour. Mum accompanied me, and trip highlights included finding the Home where I was born and being trailed through town by skinheads in a rust (or bullet) -ridden car. (So essentially I’ve been chased from my birthplace twice.) A few years before, a white family friend and his black college roommate had been hospitalized after being chased and beaten with baseball bats for Friday night sport. In Black Like Who? 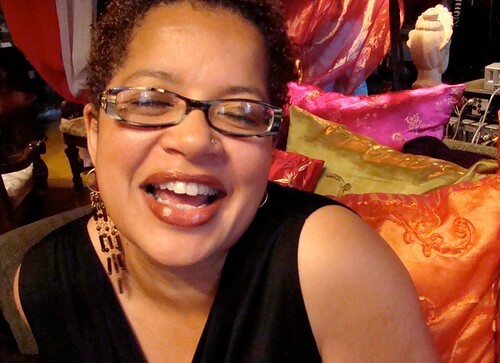 Rachel Dolezal’s Harmful Masquerade, Tamara Winfrey Harris, the author of “The Sisters Are Alright: Changing the Broken Narrative of Black Women in America,” says everything so you don’t have to. 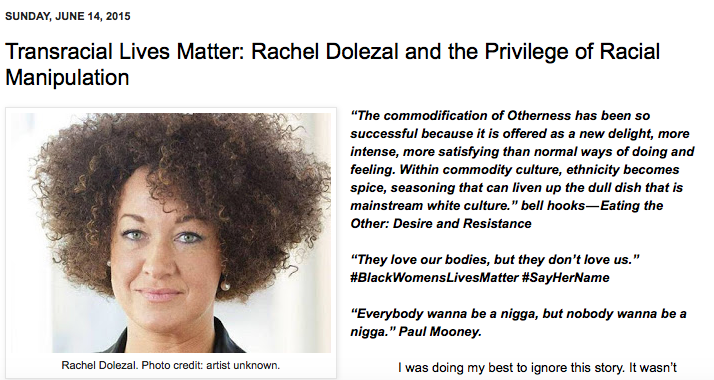 In Transracial Lives Matter: Rachel Dolezal and the Privilege of Racial Manipulation, my friend and sister-biracial-born-in-a-home-then-raised-in-Washington-State, Lisa Marie Rollins (author/performer of the solo show, “Ungrateful Daughter: One Black Girls Story of being Adopted into a White family… that aren’t Celebrities”) breaks down “transracial” and the “ownership model” of adoption. For an expert academic take on the history of racial fluidity, my former student Daniel J. Sharfstein, author of “The Invisible Line: A Secret History of Race in America” explains that Rachel Dolezal’s ‘Passing’ Isn’t So Unusual. My friend and sister-Pacific-Northwest-raised-Afro-Viking Heidi W. Durrow (author of “The Girl Who Fell From the Sky” and co-founder of Mixed/Remixed Fest) explains what it really means to look white and identify as black (authentically) in Identity, Race or Otherwise, Is Your Lived Experience.